With its diversity, Indonesian cuisine has high chance to shine in international food scene, Vindex Tengker said. 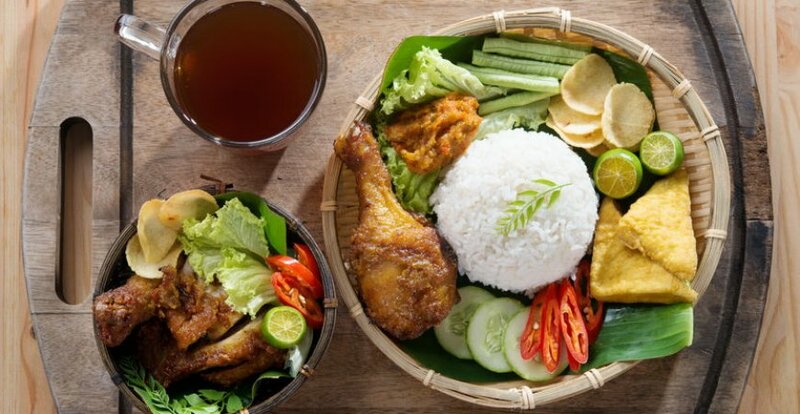 Complex techniques applied on the mixed of fresh ingredients and fragrant spices result in tasty combinations of various Indonesian ethnic foods with its strong characteristics. People from many countries have travelled to Indonesia and fall in love instantly to vibrant taste of the ethnic dishes. Conversely, Indonesians also travelled to other countries to introduce the vast culinary heritage and turned out that Nusantara cuisines are indeed enchanting. “We have strength in world food scene. Most Indonesian chefs can master Western food, but not many Western chefs can cook Indonesian food – such privileges gave Indonesian chef a good future in international food scene,” said Vindex Tengker. Thus, it becomes the first concern of Indonesian food scene in 2016 – internationalizing Indonesian heritage. “If there is one thing that can describe Asian food, it must be ‘exotic’. However, the matter is in how we maximize and finally market that characteristic. Thai food survives international food scene because they are always consistent and strive to give their best in culinary world. Contrarily, our effort in opening Indonesian restaurant abroad is less massive compared to them which results in our lack of popularity in other countries,” said Vindex. To popularize Indonesian food in other countries, what it takes according to Vindex is cooperation of many parties especially in government. “We have to be consistent and unstoppable. Publishing 30 Indonesian Traditional Culinary Icons (Ikon Kuliner Tradisional Indonesia) is a good collaboration with our Tourism Ministry. Yet, it seems that the attention sometimes comes and goes. For me, it cannot work like that when you really want to popularize our cuisines to world. In the future, we will work on a project together and this time, it should be massive and consistent. We have to harmonize every department and unit to be stronger together,” said Vindex. However, the most important thing to do before introducing Indonesian food to world is making Indonesian food a pride of the whole country. This should start from family and school. Taking a dim view of the youth forgetting Indonesian food and are prouder when they eat international cuisine rather than local food, Education and Culture Ministry has been involved. “The curriculum and syllabus about Indonesian cuisine is already prepared and functioned in some vocational schools. Nevertheless, it will take years to see the outcome. I believe that ten years from now, the work will pay-off,” said Vindex.